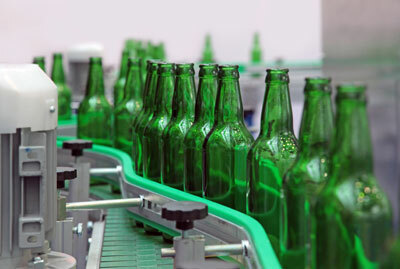 What Can Beer Teach Us About Manufacturing? Beer can teach us about the shop floor in ways you might not realize, and gives us a peek at what the future holds for our industry. CIMx is located in Cincinnati. Before Prohibition, Cincinnati was a center of the American brewing industry, and in Cincinnati’s Over-the-Rhine district, 30,000-40,000 people lived and were employed by breweries or other beer-related industries. By the 1890’s, breweries in the city were producing more than a million barrels a year. Much of that beer never left the area. Cincinnatians drank 2 ½ times the national average. In fact, it is estimated Cincinnatians drank as much as 40 gallons a year for every person in the city, and were healthier for it! Incidences of water-borne diseases such as cholera and botulism were low in the city, and as result, people lived longer. You can learn a lot about manufacturing by studying the history of brewing. 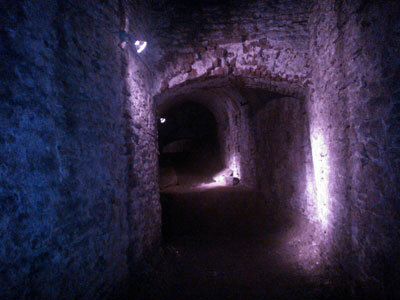 Cincinnati brewers dug catacombs under the city to make their business more profitable and Lean. Photo reprinted with permission of David Oeters. For example, in the intense competition between breweries, innovation was the key to success. Cincinnati is built on hills, making it easy to build deep basements with cool temperatures to aid in the lagering of the beer. Some breweries didn’t stop digging once they had space for the beer. Successful brewers built tunnels under the busy streets to the bottle makers, bottlers, and shipping, cutting down the time it took to transport beer. This led to a virtual underground city in Cincinnati, and was an early version of Lean Manufacturing. Here’s another example – prohibition bankrupted many local breweries and they closed. When prohibition was over, the remaining breweries consolidated and created the American beer barons. These large companies brewed uniform beer – paler in color, less complex taste and lower in alcohol content. Since then, beer lovers turned to homebrewing for more complex and satisfying brews. Brewpubs started to pop up – the first in 1982 in Yakima, Washington. Last year, there were more than 2,000 American craft breweries, microbreweries and brew pubs. Even smaller nanobreweries are appearing. Manufacturing has a similar history. As the American economy transformed itself from agriculture to industry and production increased, scalability meant volume, and consolidation swept-up many of the smaller manufacturers. By the 80’s, mergers and acquisitions was a big business for many companies. As software became a viable solution for many challenges in manufacturing, some software and ERP vendors advertised they could do anything, which led to solutions that took years to implement, couldn’t be upgraded, and weren’t optimized for the shop floor. Internal technology teams didn’t want to pay these costs, so they built their own system, leading to custom solutions that work when finished, but slowly degrade to obsolescence over time. Think of custom legacy software as the tasty, but non-viable, local breweries before Prohibition. So what lessons can we learn from the history of breweries? Innovation is the key to success is a lesson not only for a brewmaster in Cincinnati, but also today’s discrete manufacturer. Many manufacturers are realizing their home-grown software systems aren’t supportable, much like hometown breweries before Prohibition. The systems are specifically built to their needs, but now they need something for the future, something to scale for the demands of today’s fluctuating manufacturing environments. When change, like Prohibition or a new technology, happens, the companies unable to adapt won’t survive. Looking ahead, the future isn’t with pale, less flavorful software built by massive business-eating conglomerates. The days of long, expensive implementations are over. Today, do your homework and look at smaller companies (think microbreweries) with an innovative software offering giving you the optimization of a custom system without trapping you into custom software obsolescence. Look at Paperless Manufacturing for an integrated shop floor solution with a quicker ROI. How is mobile and collaborative manufacturing handled in each system? Need more proof? Anheuser Busch is owned by Belgian-Brazilian InBev and is reducing the number of big beer brands they distribute in favor of their craft lines – Stella, Beck’s, Bass. People want flexibility, optimization, and microbrewery-like service! There are more lessons to be learned from Cincinnati’s rich brewing history, especially as we look more closely at how we can find success in the future. After all, beer production has returned to Cincinnati with breweries that have found a way to not just survive in the modern market, but thrive. We’ll take a closer look at how you can capitalize like brewers today in a future blog. Keep an eye here for more!